Gracious customer service, just off I-90, and close to both Promenade of South Barrington and Woodfield Mall in Schaumburg makes this hotel an unbeatable location. Friendly service located off interstate 90 surounded by shopping and corporate offices. Newly renovated late 2017 and conveniently located off I-90 at Barrington Road. There is something for the entire family at Country Inn & Suites Schaumburg. Designed for comfort and convenience this hotel will make your travel simple. Homewood Suites is set in downtown Schaumburg and perfect for extended and short stays. Contemporary d?cor and only 20 minutes from O’Hare. Close to business, shopping and dining, and 30 minutes from O’Hare. Enjoy the convenience of being minutes from the airport and world class shopping at Woodfield Mall. Just 9 miles from O’hare and close to great local attractions. Business travel is simple when you stay at top rated Springhill Suites. 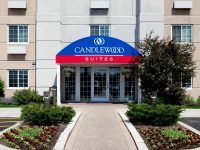 Extended stay hotel is minutes away from the Schaumburg Convention Center and Woodfield Mall. This hotel is located in a major commercial district with a plethora of shopping centers. Hyatt Place Schaumburg provides the comfort and convenience you deserve.